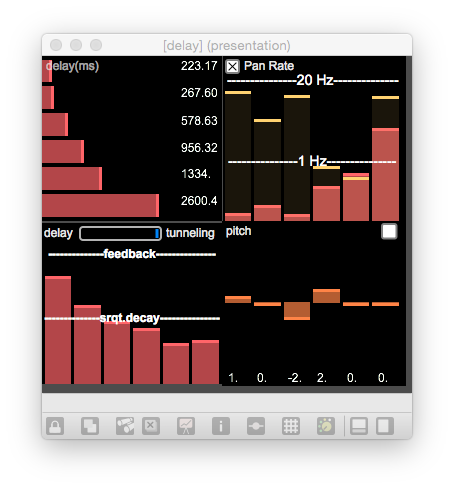 P-Deli is a 6-voice parametric delay, with independent voice feedback, amplitude, pitch-shifting (tunneling), and auto-pan. The UBC Toolbox is a collection of 50+ modules that can be used to quickly construct Max patches. The modules include players (eg.